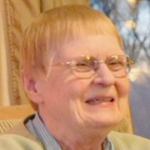 Janice Louise Hammill, 76, of Addison, passed away on Sunday, March 17, 2019, at Victorian Manor Assisted Living in Clarklake, Mich.
She was born on April 3, 1942, in Hillsdale, Mich., to James A. and Nora M. (Baker) Riley. She married James D. Hammill on September 10, 1960, in Hudson, Mich., and he preceded her in death on March 6, 2009. Janice lived her early life in the Pittsford area and then in Hudson. She then lived in Addison for many years. She graduated from Hudson High School in 1960. She was formerly employed at Michigan Bell Telephone Company in Lansing and then at Dr. Michael Hestwood, D.D.S. in Addison as a receptionist. She enjoyed camping, shopping, antiquing and going to auctions. Janice and Jim enjoyed the Labor Day Mackinac Bridge Walk for several years. Janice is survived by two sons, Kevin (Amy) Hammill of Manitou Beach, and Steven (Cheryl) Hammill of Addison; two grandchildren, Erin (Daryl) Young of Manitou Beach, and Brandy Dabe (Bill Ruder) of North Adams; eight great-grandchildren, Taylor, Brennen, Jackie, Dakota, Shoshana, Cassidy, Piper, and Braden; four sisters, Marilyn Zenker of Hudson, Donna Palmer of Mandolin, Ill., Bonnie (Dennis) Ames of Lowell, Mich., and Sharon Sutherland of Manitou Beach; one brother, Wayne (Lillian) Riley of Rockford, Mich.; one sister-in-law, Barb Riley of Hudson; several nieces, nephews and cousins. She was preceded in death by her parents; her husband, James Hammill; one daughter, Kathy Louise Hammill; and one brother, Ted Riley. Funeral Services will be held at 2 p.m. on Saturday, March 23, 2019, at the Brown-Van Hemert Funeral Home in Addison, with Pastor David Luke officiating. Burial will take place in Maple Grove Cemetery in Hudson. The visitation will be from 5-8 p.m. on Friday and at 1 p.m. on Saturday until the time of the service. A special thanks to Victorian Manor and their staff and to Care Line Hospice of Jackson for the loving care of our mother. In lieu of flowers, memorial contributions are suggested to the Addison Fire & E.M.S.